Skids, package units and flexible modules: The trends and facts in modular plant engineering – Flexible like a construction kit and powerful like a made-to-measure system: Modularisation has the potential to herald in a new era of plant construction. However, on the way there, there are not only technical hurdles to overcome — definitions are also being fought over. An status-report between PED, process skids and MTP. 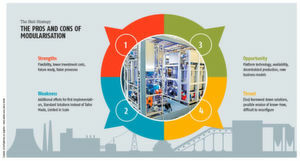 The production plant of the future should be streamlined and flexible. Always ready to adapt to ever more specialized products and shorter development and product lives. Thus, conventional concepts are reaching their limits. The industry therefore places great hopes in the modular system and plug-and-produce plant concepts. Shortened engineering, rapid market introduction and unmatched flexibility should make the modularization system engineering all-rounder. One of the first pilot projects, the F3 Factory concept, illustrates the potential of the idea: this radical approach to chemical production in the container aims to accelerate process development and implementation through the use of plug-and-produce devices, thereby reducing investment costs ( Capex) and operating expenses (Opex). Test series from polymer production to fine chemicals and surfactants to pharmaceuticals showed that it is possible to retrofit the system within about an hour. At the same time, however, instead of less work, additional expenses first came to the involved parties: After all, the individual assemblies and equipment frames had to be developed first. The fact that the necessary standards were partly tested for the first time in practice did the rest. Nevertheless, the effects are enormous: for example, the space requirement was reduced by 30 % in the context of the project. Product time to market could be halved in some cases, while Capex could be reduced by 40 % and 20 %, respectively. A modular construction system is only as good as the parts it uses: Already today, the industry relies on pre-assembled system solutions. Reactors or compressors are delivered together with the required peripheral devices mounted on a common base frame in the form of a so called skid module. The concept is not new, but has long been common in industries such as the oil and gas industry with its distributed production facilities. Customers can thus reduce assembly times and benefit from a production quality that can only be achieved in the clean workshop environment. Merck is demonstrating how the integration of services into the MTP enables fast and flexible processes and product changes with a modular membrane system consisting of various tank and filtration modules with a common backbone. Since each module for basic automation has its own PLC, functions such as mixing, filling or temperature control of the process control level (based on PCS-7) can be available as services. 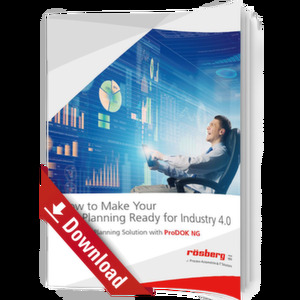 This made it easy and uncomplicated to orchestrate the modules and plan recipes, as those responsible emphasize. However, this type of process control also requires a rethinking in recipe creation and operation, the participants explain. New recipes can now be created on the basis of services, which should enable a faster process and easier adaptation than in conventional plants. Companies like pump specialist Sulzer are proud to have delivered hundreds of skids all over the world. 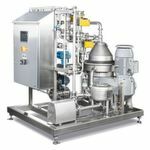 But also in the pharmaceutical industry skid systems like Geas Pathfinder can score big, thanks to a Plug & Play concept including pre-installed connections. The skid-mounted separator for technical and pilot plants is available with drum sizes for throughputs of 15 l/h to 300 l/h. Industrial service provider Bilfinger also intends to position itself as a partner to the pharmaceutical industry with the modular system: the company’s subsidiary Bilfinger Industrietechnik Salzburg (BIS) designs, plans and manufactures tailor-made skid systems and pipeline pools for biotechnology, pharmaceutical processes as well as semiconductor manufacturing or energy supply. Thus, the Austrian firm with its 500 employees has been able to shine in recent years with sales increases of almost 100 %. 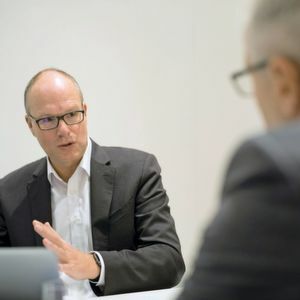 And continuous to do so: Even if the competing single-use bioreactors have advantages in laboratory processes, stainless steel skid solutions are well positioned in the actual production process, BIS CEO Tobias Eitel is sure. Complete plant sections are referred to as package units. These are defined by specifications and planned and delivered as a whole. Typically, the operator provides performance parameters, dimensions, and scope of control, and can thus outsource a part of the plant design as a package. The service spectrum of the suppliers ranges from dosing systems for the chemical industry to compressed air systems up to the complete process unit. 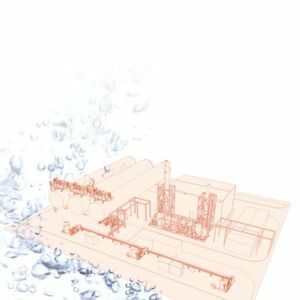 Linde, for example, has recognized the potential of modularization for technical gases and has set up a modular system for CO2 plants and LNG processes. Whole plants, plant components or units for individual processes are built in the manufacturer's yard and then transported as a whole to the destination. 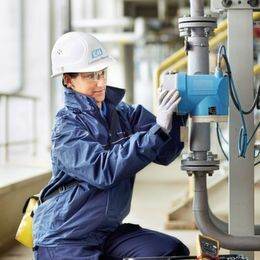 This also reduces work in structurally poorly developed regions or under extreme climatic conditions to a minimum — so the Pullach gas specialists were able to set up an LNG facility in Hammerfest (a city calling itself the "world’s northernmost"). Modularization is limited only by customer imagination, believes Corinne Ziege, Managing Director of Cryotec. The Wurzen-based company plans and manufactures modular systems for technical gases — and has been doing so since 2004. If a process can be standardized on a basic unit, it is suitable for modularization, Ziege says. Of course, at some point a plant size is reached, in which the finished unit can no longer be transported by truck, train or ship — but until that, everything is actually possible. 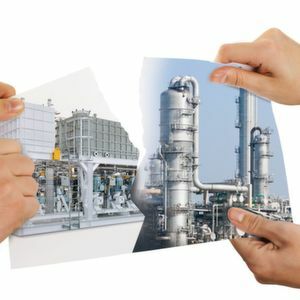 The fact that technical gases lead the way in terms of modularisation should come as no surprise — since the chemistry has difficulties to agree on common standards, modularisation attempts are on the rise for ancillary facilities and infrastructure projects. In the case of Cryotec, this means the cryogenic and industrial cooling process — the EPC subsidiary supplied a methanol plant to Azerbaijan, which removes CO2 from flue gas for reuse in the methanol process. Since the customer demanded a capacity of 15 t/h, the company delivered three identical modularised lines with a capacity of 5 t/h each. This convinced with the possibility of turn-down, higher plant availability and, of course, the possibility of transport, explains Ziege. There is no shortage of small and large components — nevertheless many of the skids and package units are still quite tailor-made for specific applications. Anyone who not only wants to implement the vision of the plug-and-produce system, but also wants to make use of all the flexibility offered by the concept, must think in modular terms right from the start. Therefore, the engineering documentation should already be summarized in functional units, the so-called process equipment design modules (PEDs). A PED comprises at least one main apparatus and all necessary components (such as pumps, heat exchangers, pipelines, control technology, etc.). Each PED is stored as a database element including information and documents (P&ID flowchart, lists, CAD documents, models, guidelines). The individual equipment design can be combined to an overall concept (PPD or process plant design), which includes all documents for construction and operation of the modular system and defines the positions and interfaces of the PEDs. Bringing the modular system from the drawing board to reality requires more than PEDs and PPDs: it requires the right equipment. Right in this case means that it can be extended by numbering up, can be adapted to different operating conditions or, as a series, offers the same function in different construction and company sizes. Individual devices can be combined into Process Equipment Assemblies (PEAs). The PEA thus becomes the physical equivalent of the process equipment design and contains the automation intelligence required for operation with defined interfaces for seamless integration into modular production processes. If several assemblies are combined into one system, these are referred to as process equipment frames (PEFs), which also include the overall process control system. By replacing the modules, PEFs form production units that can be adapted at any time, often with their own mobile housing (the familiar container modules). The production environment in which these plants operate is called modular infrastructure (MI) and requires an exceptional degree of standardization, whether it is the provision of raw materials, uniform pipe classes or a higher-level control system. 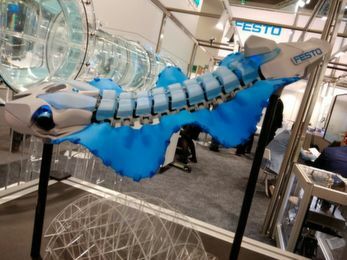 “The most striking difference between a module and a skid is that a module provides its own intelligence,” explains Alexander Kehl, specialist for Future Concept Automation at automation specialist Festo. “In the future, a plant’s automation will be distributed among the individual modules and be orchestrated by the process management level.” This approach of distributing a part of the intelligence from the control system to the modules and providing both with corresponding interfaces stands in clear contrast to the typical hierarchical automation paradigms of the process industry. 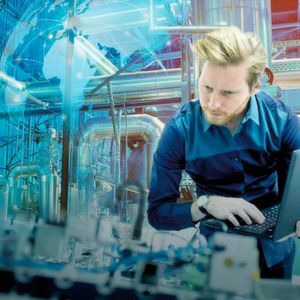 It took a correspondingly long time until the Module Type Package (MTP) provided a digital description for visualization, process control, maintenance and diagnostics, alarm management and safety & security of system modules. A first version was presented by Wago in 2014 as part of the DIMA initiative (Decentralised Intelligence for Modular Systems) and further developed by industry associations Namur and ZVEI. Despite possible start-up difficulties, the potential is enormous, confirms Felix Seibl, Managing Director for Measurement Technology and Process Automation at the German Electrical and Electronic Manufacturers' Association ZVEI: “Systems are being automated to a greater extent, which should be positive for manufacturers. For the operators, the complexity is reduced and they can concentrate on their core business”. Functions of the individual module such as heating, cooling, temperature control or filling are represented within the MTP as services. The control system thus calls up a function without knowing every single step required — this information is stored in the on-board intelligence of the module. In analogy to the computer world, MTP becomes the “driver software” of modularization, explains Kehl. Just as a computer user can control each connected printer via an uniform interface, the control system should orchestrate the services provided by connected modules the same way a conductor leads an orchestra, according to the automation expert. This makes control more efficient and enables a real plug-and-produce, since the module itself provides the required driver in the form of the MTP. “On the part of the module manufacturers, a service makes it possible to offer the functions of a module encapsulated, so that the know-how used does not have to be passed on to a plant operator to create the orchestration,” explains the automation specialist. 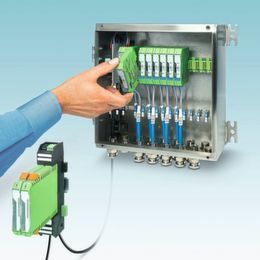 Christian Schäfer, Senior Engineer of the Process Development department of the pharmaceutical giant Merck, is convinced: “If mechanical engineers get involved in the technology, they can already make profitable use of it today.” This is shown, for example, by the company Huber with a temperature control module with embedded control, which can already be purchased off the shelf. 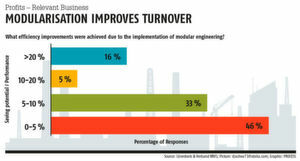 “For us users, modular plant construction is the key to dramatically shortening our time-to-market,” explains Schäfer. “We cannot and do not want to develop a completely new system for every product. We can quickly adapt modular systems and add additional modules if required.¨ The company based in Darmstadt, Germany, has already implemented a service-based operating mode for a technology demonstrator. 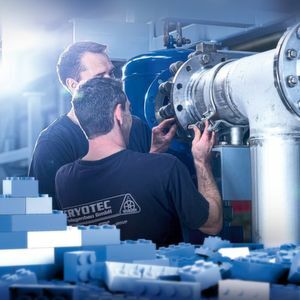 Giving responsibility to the supplier requires trust on the part of the operator, Cryotec manager Ziege knows. Currently, redundant systems with a central DCS are usually required. The integration into the higher level is missing. And here, manufacturers, associations and automation companies rely on two cards: Automation ML — a neutral data format based on XML known from the manufacturing industry — and OPC-UA. Thanks to its open architecture, the machine-to-machine communication protocol has become the de facto standard for industry 4.0 and is now to become the cement between the module components — flexibility included.